Speaking at a press conference after his talks with Vladimir Putin on Monday, Turkish President Recep Erdogan stressed that Turkey's decision to buy S-400 missile systems from Russia was his country's “sovereign right" and that no one should demand that Ankara abandon its deal with Moscow. President Recep Tayyip Erdogan has not ruled out that the delivery of Russian-made S-400 missile systems to Turkey may start ahead of schedule. "We tell them [journalists] ‘this is a job completed, all is ready’. The delivery of the S-400 missile defence systems was supposed to be in July, it may be done earlier”, Erdogan was cited by the Turkish media outlet Daily Sabah as saying on Tuesday. The statement comes after Erdogan’s meeting with Russian President Vladimir Putin in Moscow on Monday, during which the Turkish leader reiterated his position that the S-400 issue was “closed”. Earlier, he pointed out that the US had failed to provide an agreement on its Patriot air defence systems comparable to the S-400 deal, adding that “the S-400 deal is coming to life and we await S-400 supplies in July”. Turkish Foreign Minister Mevlut Cavusoglu, for his part, stressed that it’s absurd to question Turkey’s NATO membership over Ankara’s S-400 deal with Russia. He added that he earlier told US officials that the S-400 deal is complete. Cavusoglu also pointed out that “if the United States does not want to sell us the Patriot [interceptors], then tomorrow we can purchase the second S-400 battery, and we can also buy other missile defence systems”. In a separate development, the US Senate Foreign Relations and Armed Services Committees again warned of anti-Turkish sanctions if Ankara purchases the S-400s, urging Turkey to make a choice. “By the end of the year, Turkey will have either F-35 advanced fighter aircraft on its soil or a Russian S-400 surface-to-air missile defence system. It will not have both," Republican Senators Jim Risch and Jim Inhofe as well as Democratic Senators Bob Menendez and Jack Reed wrote in an article published by the New York Times. 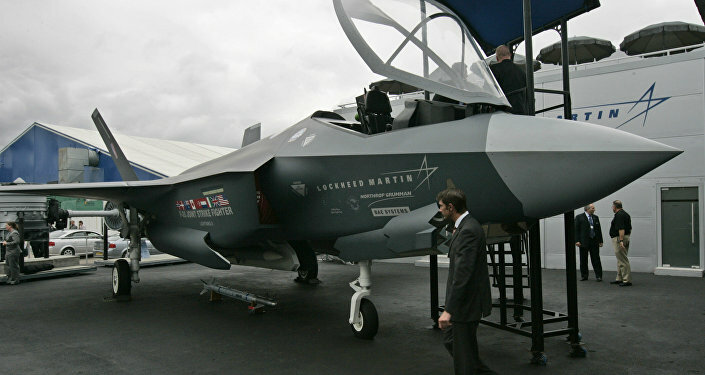 US officials have repeatedly threatened to block deliveries of the Lockheed Martin F-35, a new fifth-generation stealth fighter, to Ankara if it goes through with the S-400 purchase amid fears that the Russian air defence system could compromise the F-35's stealth capabilities. Russia and Turkey signed a loan deal for the supply of S-400 air defence systems to Ankara in December 2017. In March of this year, Erdogan reaffirmed that the deal had been completed, saying that a new deal for the purchase of advanced Russian-made S-500 systems may be on the horizon.